2018 Consumers Energy 400 Predictions Archives - NSAwins.com – Expert Sports Picks from USA's #1 Sports Handicapping Service! 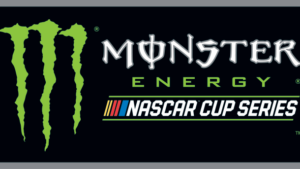 Tag Archive | "2018 Consumers Energy 400 Predictions"
2018 Consumers Energy 400 Odds, Picks and Predictions: Top Sleeper Bets for the Consumers Energy 400: The Monster Energy NASCAR Cup Series is visiting Michigan International Speedway this weekend, and while the big names tend to rise to the top at the wide, fast two-mile oval, you won’t to completely ignore the dark horses when betting on this weekend’s Consumers Energy 400. For one, pit strategy has been known to play a factor at Michigan, and that’s exactly what happened in the June race earlier this year when Clint Bowyer used a two-tire stop and held off Kevin Harvick until rain stopped the race after 133 of the 200 laps. Perhaps more importantly, a lot of younger drivers have been gaining momentum in recent weeks. Erik Jones and Chase Elliott have both picked up their first career Cup wins in recent weeks, and Alex Bowman, William Byron and Daniel Suarez are all running as well as they ever have in their careers. There has never been a better time pull the trigger on the young guns. His eighth-place finish at Michigan in June doesn’t do Blaney justice. He actually had one of the best cars in that race, leading 15 laps and recording 24 fastest laps. With rain shortening the event, he lost out on a chance to compete for the win, but as strong as the Ford teams were the first time around, he could certainly finish what he started in June during this weekend’s race. I think Blaney is a little underrated at 20/1 this weekend. The sample size isn’t huge, but Jones has already amassed a decent resume at Michigan. He has a 10.3 average finish in three starts, and he led five laps and finished third in the August race last season. Equally as important, Jones is in the middle of the best stretch of racing of his career. He has finished seventh or better in six of the last seven races, logging back-to-back top-five finishes and picking up his first Cup win a few weeks ago at Daytona. Jones is starting to realize his star potential, and he could be a steal at 25/1 this weekend. Busch had an excellent run at Michigan back in June, leading the second-most laps and finishing third. Stewart-Haas Racing actually claimed the top three spots in that race, so SHR clearly has a setup that works at this place. He has now finished 12th or better in his last five starts at MIS, and he owns four career wins at two-mile ovals, including three at Michigan. Add it all up, and Busch looks like one of the better values on the board this weekend. Although he has never had much luck at Michigan in his Cup starts, Suarez does own an XFINITY Series win at the track. More importantly, he has taken a big leap the last couple of weeks, finishing second at Pocono and fourth at Watkins Glen. Momentum means something in NASCAR, and Suarez has it as he heads to a track where he knows he can win. I like his upside at 66/1 this weekend. His 16th-place finish at Michigan in June was solid, albeit not spectacular, but Bowman is running as well as he has all season heading into Sunday’s race. He has six top-15 finishes in the last seven races, and he has four top-10 finishes in that span, including a third-place run a couple of weeks ago at Pocono. Hendrick Motorsports has looked much better as a whole in recent weeks, which only adds to Bowman’s appeal as a longshot bet. 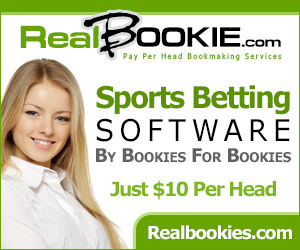 Get weekly Bovada NASCAR betting odds updated LIVE directly on NSAwins.com! 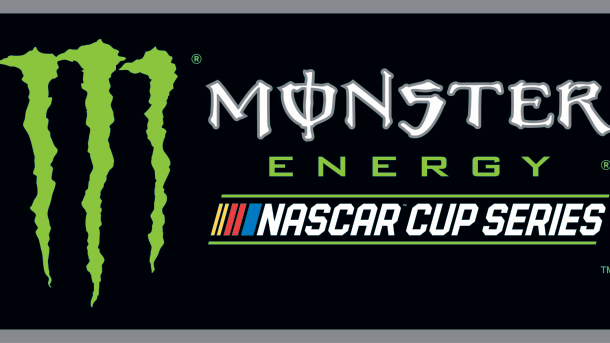 2 EASY STEPS to BET on the 2018 Monster Energy NASCAR Cup Series Odds! 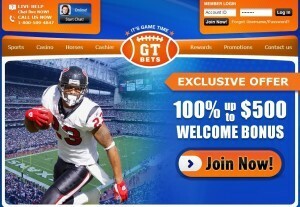 STEP 2: Deposit with Credit Card or Deposit by Check and get a 100% BONUS upto $250 FREE. 2018 Consumers Energy 400 Odds, Picks and Predictions – Favorites and Bad Bets for the Consumers Energy 400: The Monster Energy NASCAR Cup Series returns to Michigan International Speedway this weekend for the second race of the summer at the D-shaped oval. Sunday’s Consumers Energy 400 will also be the third race of the year of the year at a two-mile oval, and these big, high-horsepower tracks tend to be kind to the bigger teams that have the most money invested under the hood. Needless to say, the usual suspects are again listed among the betting favorites this weekend, and with the “Big 3” of Kevin Harvick, Kyle Busch and Martin Truex Jr. dominating at a record pace, you need to have plenty of exposure to the frontrunners to maximize your chances of cashing in this weekend. Check out a closer look at all my tops bets and a few big names to avoid for Sunday’s Consumers Energy 400. Harvick looked like he had the June race at Michigan in the bag, but he had to settle for second when rain cut the race 67 laps short. He still led a race-high 49 laps, and over the last 10 races here, he has a series-best seven top-five finishes and has finished second on five different occasions. Harvick has shown a ton of speed at high-horsepower tracks like MIS, Auto Club and Pocono all season, and he is the safest bet on the board this weekend. If you look at Busch’s overall record at Michigan, it actually isn’t that impressive. However, he finished fourth in the June race earlier this season, and no driver has been as consistently great in recent weeks than Busch. He has a series-best nine top-five finishes in the 10 races leading up to Michigan, and he has led 30-plus laps in each of the last three races. Busch is basically a lock to have a shot at the win, which is exactly what you want when betting on one of the heavy favorites. He crashed out on a late restart during the June race at Michigan, but don’t forget the resume Larson has amassed at this track. The wreck snapped a streak of three straight victories at MIS, and he has finished third or better in six of the last seven races at two-mile tracks, winning four times in that span. If you want a little more room for profit while still backing a serious threat, Larson is your guy this weekend. Elliott is riding a wave of momentum after his win at Watkins Glen, and after struggling a bit early in the year, he is suddenly pushing for wins on a weekly basis. He will take his hot hand to one of his best tracks this weekend, and in five Cup starts at Michigan, Elliott has never finished outside the top 10 and has been the runner-up three times. Among the betting favorites, Elliott is your best value play. He has been one of the most dominant drivers all season, but while Truex has been mentioned alongside Kevin Harvick and Kyle Busch as one of the favorites this weekend, he comes with the most red flags. Yes, he had two strong runs at Michigan last year, but he didn’t have the speed to win back in June, settling for an 18th-place finish while Harvick and Busch both finished in the top five. For essentially the same odds, I will take my chances with either of the two drivers who were in the mix for the win before I bet on Truex. His career numbers at Michigan are solid, and Keselowski finished sixth in the June race here earlier this year. However, he has been mired in a slump in recent weeks, finishing outside the top 15 in four of the last five races and finishing outside the top 30 three times over that stretch. There are a lot of younger drivers running really well right now, and I’d rather take a shot on them and their much more favorable odds than roll the dice on a slumping Keselowski at 9/1.